Onnit is home to a wide variety of supplements that cover specific areas of your daily life. But Onnit isn’t just limited to supplements; it also offers several food products in addition to fitness equipment and some other offerings. Looking for a one-stop-shop for exercise supplements and other products designed to enhance each and every part of your health routine? Look no further. If you’re serious about your health and advancing your routine in a positive way, Onnit has you covered from every possible angle. We’re going to take a look at some of their more popular supplements, as well as their food and fitness products. Spoiler alert: Onnit nutrition is the best place to start if you want to finally get serious about your fitness routine or if you need to shore up your supplement shelf. Let’s start with a review of Onnit supplements. What supplements does Onnit offer? It’s a nootropic, defined as a dietary supplement that is designed to enhance the way that your brain works, and specifically when it comes to memory, mental speed, and overall focus. 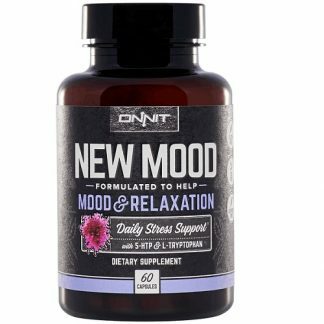 New MOOD can be a perfect supplement to assist with calming the mind and body before sleep to help ensure a restful night. If you take a glance at the Onnit website, it would be easy to become overwhelmed. It truly is a laundry list of options, but the good folks at Onnit have graciously broken them down by category. On to the Onnit supplements review. Alpha Brain is Onnit’s flagship product and their top-seller. It’s a nootropic, defined as a dietary supplement that is designed to enhance the way that your brain works, and specifically when it comes to memory, mental speed, and overall focus. The supplement uses earth-grown nutrients to push your brain naturally, and not artificially. The Alpha Brain supplement was released in 2010 and has been featured by plenty of media outlets as one of the best nootropics on the market today. It was tested against a placebo in research conducted by the Boston Center for Memory. Alpha Brain held up, with the test group that took the supplement showing improved memory, brainwave patterns (also known as flow state), focus, and processing speed. The Boston Center study also claims that Alpha Brain will work the first time that you can take it. In other words, don’t worry about lag time while your body adjusts to the supplement; your brain will experience an immediate boost — yet another benefit of Alpha Brain over traditional pharmaceuticals. Alpha Brain will not create dependency or force you into an unbreakable habit. Unlike pharmaceuticals — or even stimulants such as coffee — there is no risk of dependency or even side effects. You’ll be retaining and processing information faster immediately without needing to worry about that stuff that might come along with other products, and that’s not insignificant. As a natural nootropic, Alpha Brain is non-GMO, gluten-free, and caffeine-free. The capsules themselves are even vegetarian, with a combination of natural ingredients that we’ll explore shortly. Alpha Brain has been certified as drug-free by the Banned Substances Control Group, which is the gold standard when it comes to certifying supplements and confirming that they do not include any banned drugs. This product is consumed by many athletes, including NHL star Duncan Keith and NFL players Andrew Sendejo and Brian Cushing, and that’s a group of guys that can’t afford to be caught consuming banned substances. You can have confidence in knowing that Alpha Brain is safe. 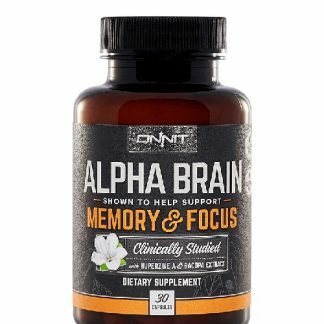 Onnit also offers Alpha Brain instant, which is a powder that is packaged individually and is perfect for those that are on the run frequently or prefer the convenience of dosages already measured out. Additionally, the nutrients take effect even faster than the capsules in the original Alpha Brain formula. And there’s your Onnit supplements nootropic review. On to the other Onnit products. One of the quickest ways to perk up after feeling a bit under the weather or generally sluggish is a quick injection of Vitamin B., And that’s exactly what Active B Complete offers. Active Vitamin B is the ultimate B Vitamin and includes 100 percent of the RDA in all the B Vitamin categories. 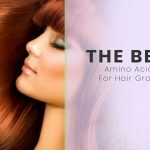 One of the key ingredients included is Benfotiamine, an essential cofactor for the body’s production of several crucial enzymes. Active B Complete provides a near-instant and natural energy boost as well as supporting the conversion of neurotransmitters and assisting in clearer thinking and processing of information. As with other Onnit products, it is delivered in a vegetarian capsule and comes in a 30-count bottle. Earth-Grown Nutrients are a dense combination of several natural ingredients, which is, of course, the foundation of optimal health and performance. If you’re worried that your busy lifestyle or forgetfulness might be getting in the way of your consumption of earth-grown nutrients, using EGN might be the best move. EGN contains five unique blends of ingredients designed to help you reach your goal of consuming your daily greens in an easy — and delicious — beverage. There are two flavors of EGN: Black Cherry and Lemon Mint. 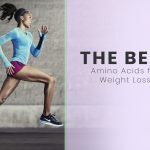 The drink mixes include several blends that take aim at providing a variety of solutions, including detoxification, providing energy, gut health, and more. This product looks to do exactly what it sounds like it is designed to do: assist in improving your gut health. Total Gut Health includes five strains of probiotics that were selected for their acid-resistant qualities and their positive influence on the gut. It contains a proprietary digestive enzyme formula called DigesTech, which includes enzymes that assist in the breakdown of fats, starch, carbs, protein, fiber, lactose, and cellulose. Also included in Total Gut Health, Betaine HCL supports the acid in your stomach, thereby ensuring smooth digestion and a healthy gastrointestinal tract. The product comes in convenient individual packages that only take 10 seconds to consume alongside any meal. Total Human is the perfect supplement for those who are looking to “get optimized,” according to Onnit’s website. The product is made up of entirely earth-grown nutrients that are specifically balanced to support the brain, mood, energy, immune system, bones, and joint health in both daytime and nighttime packs. They are each designed specifically to get you ready to work during the day and ready to sleep at night. Total Human separates itself from other multi-vitamins with its targeting of specific systems instead of trying to address everything at once with a one-size-fits-all approach. For instance, Total Human includes the Alpha as mentioned earlier Brain as one of the pills. Alpha Brain is designed to optimize your brain, allow you to think quickly and improve your memory and cognitive abilities. Total Human also includes Active B Complete, which we highlighted earlier, designed to give you a shot of energy. Onnit promotes Total Human as a better option than purchasing each of the supplements separately, as the product includes virtually all of the supplements and already checks all of the boxes on its own. It’s all about the neurotransmitters, of course, and that’s what New MOOD aims to alter in a positive fashion. Serotonin is a key neurotransmitter when it comes to your mood and overall happiness. New MOOD combines serotonin with L-tryptophan and 5-HTP, alongside Vitamin B6 as a converting catalyst. This cocktail helps the body optimize its serotonin levels and assist I maintaining a calm, relaxed mood. Several herbs and minerals are included in order to stay in a state of calm and peacefulness, from Valerian Root Extract (assists with restlessness) and Chamomile Flower Extract (includes calming properties) to magnesium, which helps with muscle relaxation. Melatonin is a hormone that assists in the regulation of your internal clock. Onnit’s Melatonin Spray can be used to encourage your body to prepare for a restful night’s sleep. A suggested by the name of the product, Shroom TECH Immune is all about boosting and supporting your body’s immune system. Believe it or not, mushrooms — and especially Chaga mushroom — can be a key contributor to building a nearly impenetrable immune system. They include biologically active compounds that stimulate your immune system in a variety of ways. Stron Bone is aimed at strengthening your bones and promoting healthy bone structure. It includes strontium, a mineral that helps fortify bone. Clinical research suggests that it helps reduce the amount of bone cells that break down while stimulating the growth of new ones. Stron Bone is key for anyone living an extremely active lifestyle — for instance, anyone who plays extreme sports or is consistently putting their bone integrity at risk. 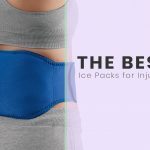 But it also gives a boost to bone recovery and provides an additional layer of protection against accidents and unexpected occurrences. ViruTech is made with a proprietary formula that helps the body support its response to oxidative stress. While similar in result to the Shroom as mentioned above TECH Immune product, the way at which they achieve the result is vastly different. While Shroom Tech is food-based (with mushrooms, of course), ViruTech is compound-based, relying on a partnership between the essential amino acid L-Lysine and Vitamin C, among other antioxidants and flavonoids. Most of the items under the three separate categories entitled Vitality, Performance, and Key Nutrients will sound familiar and are largely just better ways to get your body the nutrients it needs without taking vitamin pills every morning. For instance, Vitamin D3 Spray in MCT Oil is, as Onnit calls is, “liquid sunshine.” It is essentially plant-based Vitamin D3 carried in a base of clean, fractionated MCT oil, which means that it will enter your body faster than a capsule would. Krill Oil is another product that you should be able to find at your local GNC if you’re looking to stock up on your omega-3s, but if you’re one-stop-shopping for Onnit products than you may as well grab some. Along those same lines are Creatine, Glutamine, and Electrolytes, as well as the previously mentioned DigesTech and an enhancement for Shroom TECH. If you’re investing in any of the Focus, Daily, Support, or Relax/Sleep products, make sure to consider supplementing that purchase by glancing through Vitality, Performance, and Key Nutrients. What kinds of foods are offered by Onnit? Onnit has five different kinds of body oils available: MCT Oil, Joint Oil, Emulsified MCT Oil, Almond Milk Latte EMCT Oil, and Savory MCT Oil. 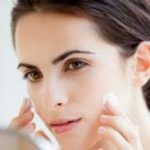 MCT Oil is the base for most of the above, of course, so let’s start by defining that. MCT oil is one of the fastest sources of clean fuel for the body and the brain, taking fewer steps to convert caloric energy than carbohydrates. It’s quick, clean, odorless, and is 100 percent sourced by pure coconut. The various oils are offered with slightly different ingredients lists and are produced primarily to allow for a variety of usages, from cooking to taking them directly. Below are some of the snacks offered by Onnit. This may be too obvious, but the Elk Bar contains … wait for it … elk meat! Indeed, the bar is made in partnership with Native American Natural Foods and includes elk meat, bison, and bacon and includes 21 grams of protein. The elk is steroid, hormone, and antibiotic-free. Because they are pasture-raised, they do have USDA approval. The bars are high in B Vitamins, iron, and zinc and include more protein per serving than chicken or beef. A box comes with 12 bars. The Warrior Bar has 14 grams of protein, primarily derived from buffalo meat and including cranberries and a spicy pepper blend. The bars are non-MSG and also do not include soy, lactose, gluten, nitrites, antibiotics, or added hormones. Looking for a more traditional snack? 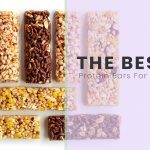 There are four different flavors of Oatmega Protein Bars: Vanilla Almond, Chocolate Mint, Peanut Crisp, and Brownie Crisp. 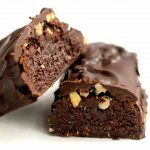 The protein bars include 14 grams of protein and 300mg of omega-3s per serving. They include grass-fed whey and are non-GMO and gluten-free. Oatmega Protein Bars are manufactured using a proprietary process that completely takes out the taste of the fish oil that helps deliver much of the omega-3 benefits. Unsurprisingly, Onnit offers its Recovery Protein product, an ideal post-workout formula with 16 grams of protein. A quick recap: exercise breaks down our muscles, requiring the body to get stronger. This is largely accomplished by recovery driven by protein — exactly what Onnit’s Recovery Protein is designed to do. The protein includes hemp seed, goat whey, coconut water powder, colostrum, instantized branched chain amino acids, creatine, and more. Onnit’s grass-fed Whey Protein isolate includes the purest form of whey that you’ll find. It includes the fat and carbs from its milk source filtered out, leaving you with straight protein to assist in muscle growth and recovery. Onnit’s Whey Protein is also high in leucine, a branched-chain amino acid that promotes muscle protein synthesis. And remember, the cows used to make this protein are grass-fed, and all of the ingredients used are non-GMO, and free of gluten, lactose, and sugar. Onnit Protein Bars include 15 grams each of protein and fiber and just five grams of fat and three grams of sugar. As with everything else we’ve come across from Onnit, they are non-GMO. The bars include over 60 plant ingredients and nothing that you wouldn’t want to be included. Onnit also offers Protein Bites, which are based off of the Protein Bars. It is the same coconut cashew recipe dipped in rich dark chocolate and served in smaller chunks of deliciousness. Powerfood Active is an outstanding fuel source, combining protein for your muscles with a host of micronutrients. 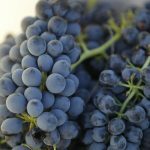 It can be added to both beverages and foods depending on preference. A serving of Powerfood Active only includes 60 calories, five grams of protein and two grams of fiber. It is, of course, gluten-free, soy-free, dairy-free, and vegan. 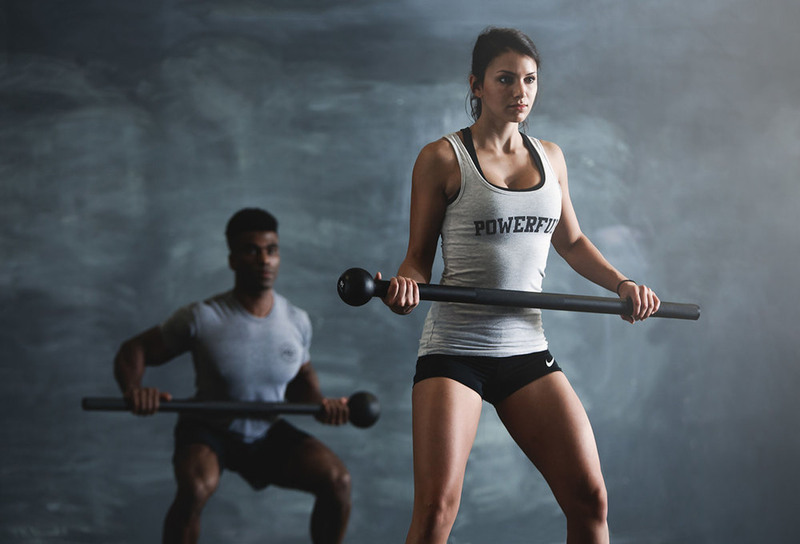 Similar to Powerfood Active, Powerfood Vitality is built with hemp seeds and other natural protein sources with the goal of replenishing muscles post-workout. Also on the ingredient list: chia and flax, which help balance out the body’s Omega-3 and Omega-6 fatty acid ratio. The formula will fit into your Keto diet and is all-natural, through and through. What, you thought that Onnit would offer everything but coffee and tea? Of course, those items hit the product list. Onnit’s Arabica Dark Roast Coffee is true Antigua Guatemala coffee and is whole-bean, direct from the farm, single-origin, and shade-grown. It’s grown on one of only 34 farms that are certified for Antigua coffee. The flavor profile includes chocolatey overtones with bright and fruity, full-bodied notes. If you choose to grab one of the oils that we reviewed earlier in the article, why not pick up some Arabica Dark Roast Coffee to add the oil to and start your day off right each morning? Onnit also has Caveman Coffee available for purchase. It is a light-roast coffee, grown sustainably grown on a single estate in Columbia and hand-roasted by a master roaster. The flavor is light with mellow acidity and strong caramel sweetness. Caveman includes a medium body with a smooth, complex taste with fruity notes. Onnit didn’t forget about you either, tea drinkers. Their King Tea is a crossbred variety of Camellia sinensis developed in Kenya. If you’re reading this with interest, you’re probably well aware of the benefits of purple tea. But, here they are: purple tea includes 16.5 percent more polyphenols than other teas, which means that its cell-protecting properties are superior, scavenges free radicals at a rate of 51 percent — nearly 17 percent higher than green tea, and it contains only five percent caffeine. King Tea is another perfect vehicle to get your body the MCT oil that your body needs. The last beverage we’ll touch on is the Organic Whole-Spice Matcha Chai Latte. It is a unique drink, to be sure, as it combines some of the most potent natural ingredients available. This includes traditional ingredients such as Turmeric, Ginger, Cinnamon, and Peppercorn. But it also includes the most potent form of green tea: Matcha, a superfood. Matcha tea uses the tea leaf in its entirety, opening up the benefits to a host of additional phytonutrients, Matcha provides a steadier way for your body to absorb the effects of caffeine, and it includes chlorophyll. Does Onnit offer fitness products, too? Yes! Remember: one-stop-shop. Onnit wouldn’t let you down. Looking for a new set of battle ropes, speed ropes, or suspension rings? They’ve got them. What about some new kettlebells or medicine balls? Perhaps a club or a mace is more your speed. And not only that, but Onnit fitness even has Star Wars and Marvel licensed products, including the Death Star Slam Ball, the Han Solo Yoga Mat, the Iron Man Kettlebell, and the Spider-Man Battle Ropes. Onnit also has a line of apparel and a robust sale section on their website. As long as you’re grabbing your MCT oil or capsule supplements, you may as well grab a snack, some coffee/tea, and a brand new set of fitness equipment. Oh, and an awesome Onnit sweatshirt, too. There are enough options to choose from when it comes to Onnit that it would be easy to get lost on their website for days. If you spend any amount of time searching for Onnit coupons or an Onnit discount code, you’ll be sure to find something. And it’ll be worth it, given the haul of stuff you could easily end up ordering before you’re all checked out. Hopefully, you’ve found this Onnit supplements review and look at the top selling Onnit products helpful. This isn’t even the full list of products, but we’re confident to suggest that if you have even the vaguest idea of what it is you’re in the market for, start with Onnit and go from there.